The balance of this article offers up some additional that spread stress and strife. As the manager or leader responsible for pulling people together to communicate, share and generate ideas, you are well served by eliminating these meeting types from your routine. The problem with this meeting is that no one is ever ready for it. After all, it’s 8:00 a.m. on Monday morning—nothing has happened yet and whatever happened last week is mostly ancient history. The second problem with this meeting is that for anyone to be prepared, they have to which is fine on occasion but guaranteed to earn you some serious votes for “jerk of the year” from employees and the family members of employees. The solution: If you must run a team meeting on Monday, push it to later in the morning or early in the afternoon. Better yet, push it to Tuesday morning. You know this meeting. It’s the one where people move around the room sharing their latest updates, sagas, fantasies, and dreams. Sit in the wrong place and you end up as the 22nd person to offer an update to a group whose bladders are over-strained and brains numb from the politically oriented updates emanating from the mouths of colleagues in far-away functions. The solution: Meet if you must, but set Ask people to focus on important news that impacts everyone or to identify challenges that require help from across functions. Do anything to limit the painful march of gratuitous and self-serving status updates that undisciplined round-the-table meetings generate. Any recurring meeting where no one can remember why this meeting still takes place is a candidate for immediate elimination. 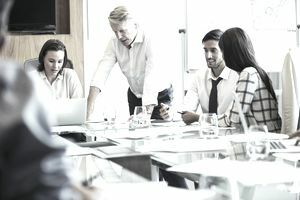 The laws of physics transfer to meetings and a meeting on the schedule tends to remain on the schedule long after it has used up its usefulness in the workplace. One new manager reviewed the recurring list of meetings on his team’s schedule and canceled two of them because he could not uncover a reason for these meetings to exist. He received more than a few thank-you notes and a few comments from people wondering how he managed to kill this meeting that they had been trying to get rid of for the past year. The solution: Review all of the recurring meetings that you subject your team to or that you are a participant in, and eliminate them from your life and the lives of your team members. If you are not the host of the meeting, inform the host of your intention and of your perspective on the utility of the meeting. If you are the host/sponsor, poll team members and give them a voice and a vote. A bit of draconian slicing of recurring meetings opens up valuable time for other more important activities. This is any meeting where you pull together a group of people to work on the wording for something: a vision, a mission, a strategy statement, a scope statement in project management. The output of these sessions is typically a series of awkwardly constructed sentences reflecting compromises on the part of the person-in-charge. No one in the room agrees with the final product, but everyone nods their heads in assent as soon as the wording moves beyond ridiculous to just awful in an attempt to make the pain go away. The solution: Never relegate rough wording of anything to a committee. Take a stab at the item in question yourself, bounce it off a few colleagues and when you approach something that is beginning to work for you, very carefully ask for input from a group. Ask clarifying questions, take great notes and then disappear and redraft the statement(s), repeating the process as necessary. There is no magical process or template or even simple series of steps that help strategic clarity emerge. Conducting a S.W.O.T. (strengths, weaknesses, opportunities, and threats) analysis is not always on the critical path to arriving at an accurate assessment of conditions, and opportunities. And numbers and targets and growth are not strategies. Beware of anyone suggesting they have a simple process for this complex topic. The solution: Invest in a highly qualified and experienced strategy facilitator or advisor who understands how to guide, sometimes lead and sometimes follow in pursuit of developing an actionable, meaningful strategy. The right professional will hold the group accountable to finding answers to the right (difficult) questions that must be answered on the road to strategic clarity. are priceless opportunities to connect, communicate, build relationships, and stimulate creative problem-solving. They are also opportunities ripe for overuse and even abuse. Strive to be the manager that respects the power and importance of meetings. Use these forums for the right reasons by architecting them to focus on key issues, solicit ideas and importantly, respect the time that everyone puts into the sessions. Your team members will appreciate your positive approach more than you may ever know.